I'm sure, that like me, many of the audiophiles and music lovers can easily recall the Audio Analogue brand name. They've produces some of the iconic high-end audio electronics over the years. One of them is Puccini amplifier, that is still being produced two decades after the introduction of the initial model. That alone is quite a statement in the era, where the urge of overcharging and rapid introduction of the new products became sort of an endless race. As fast forward as present times might seem, people are again starting to explore and cherish the products with heritage, history and when it comes to the high-end audio, with the notable sonic potency. 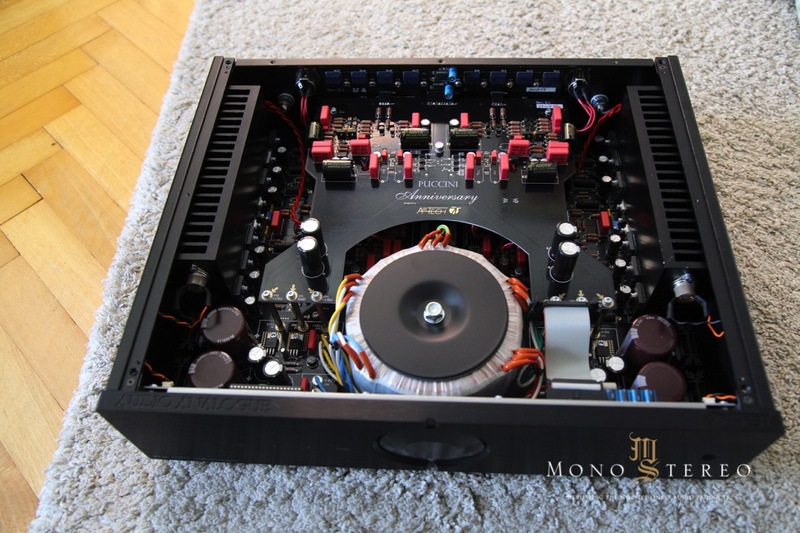 Back in 1995, a small integrated amplifier was born. 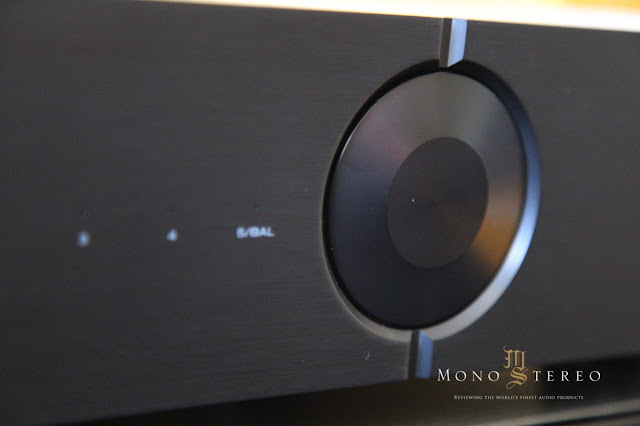 The initial goal was to bring a captivating and pleasant music experience to the music lovers and audiophiles. Audio Analogue never had never compromised on the technology involved, but back in time, the focus was more on the direct, listening experience, then on push forward highlighting of the technology involved. But, now we're living in the very 21st century, where technical merits are as important as the design and audio reproduction quality. Audio Analogue team understood this modern challenges and the new Puccini Anniversary was designed from ground up as the contemporary machine with the and highly technical "brain", "musical" hearth. Audio Analogue set the goal to design the best Puccini ever, that will be not only a turning point in the brand's history but will also set the ground stone and the firm path for the future. 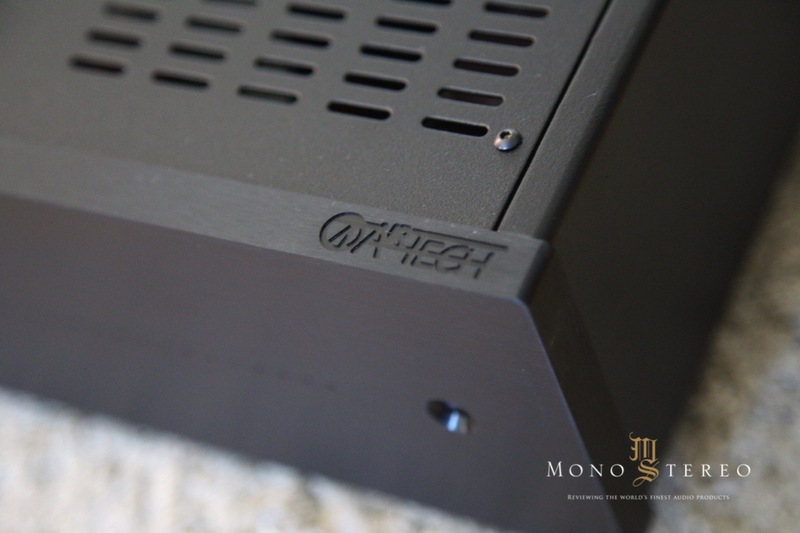 The cooperation with Airtech Laboratories has led to the initiation of an integrated amplifier without global feedback. After months of evaluations and tests, the partnership with Airtech was consolidated and the development of this unique amplifier has reached the final stage. 6. Stabilise the working point. There is always a juxtaposition of lab measurement and listening conclusions. So, while the highest possible measuring results are important, one can never neglect the audible part. "In the audio impedances operates the order of a few tens of KOhm. 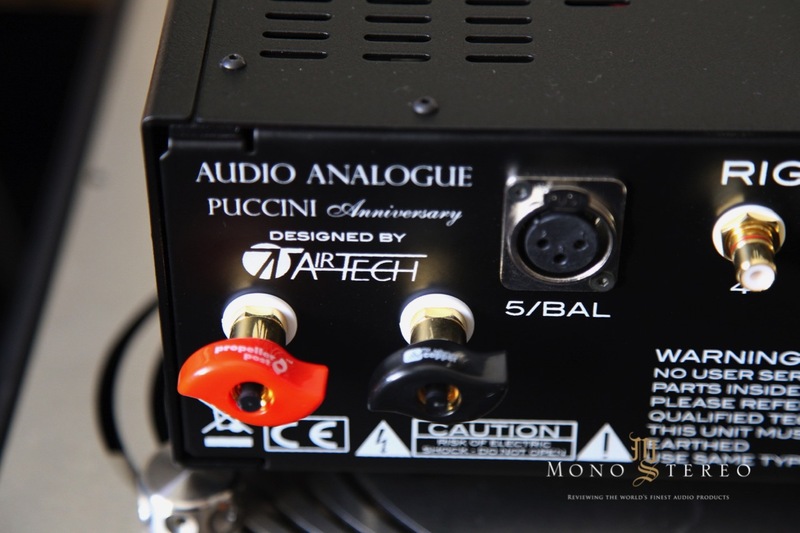 With the Puccini Anniversary Audio Analogue has used a differential stage with a high gain transistor and (necessarily) "degeneration" resistor rather than high, what lets the input impedance with enough gestalt. 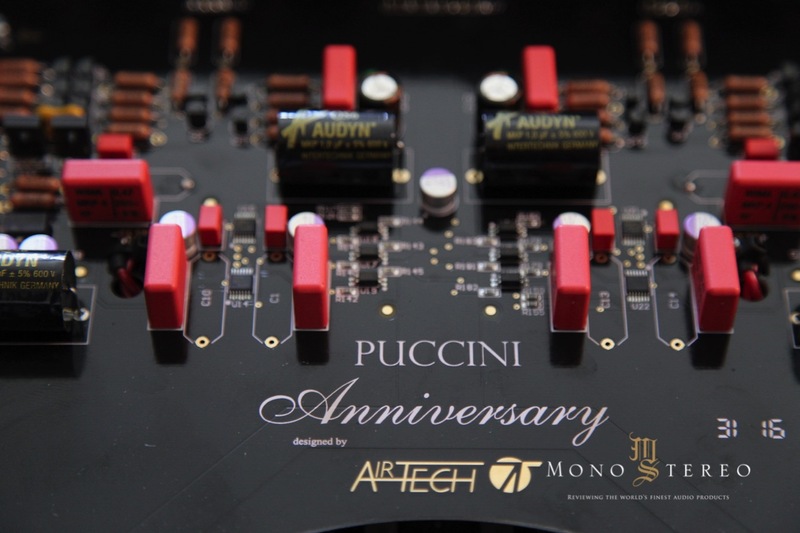 Audio Analogue team felt how the importance of output impedance is to often overlooked, but the Puccini Anniversary uses three pairs of power transistors, that brings resistance of about 0.2 ÷ 0,3Ω (therefore a damping factor of between 27 and 40). Power amplifiers with feedback gain are dependable only by the feedback network, that allows the operating stability. 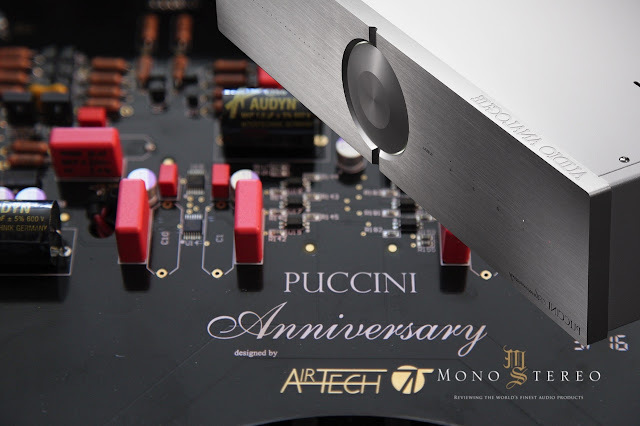 On contrary Puccini Anniversary integrated amplifier implements a differential stage, that converts the input signal from voltage to current using a degeneration resistance, high enough to reduce the non-linearity. Reducing of the power supply disturbs represents an important quality of the amplifiers with feedback. Any disturbance source that is not present on the input is more or less attenuated. In order to achieve the same result without feedback greatly design ed power supply is needed and the primary layout should not be affected by the magnetic flux dispersed by the transformer (calling for the need of well designed toroidal transformer). Even when distortion is decreased to the levels, that is almost not measurable, the question has arisen if it matters quality wise, as the feedback brings good results if the amplifier is properly designed. And they've asked themselves... What is really necessary? Audio Analogue belies, that stabilization of the operating point is the most important and absolutely necessary thing. For this very reason, they've have included a DC Servo (then a feedback!!!) that operates between the DC current and 0,02Hz. The servo output practically stops at 20Hz and then all the feedback acts beyond of the audio band. Many amplifiers make use of DC servo and Audio Analogue strongly believes, how its presence is not noticeable. The other questions that Audio Analogue asked themselves was if the adoption of feedback is an absolute evil? "Absolutely not, the feedback is good, sometimes indeed great, but, in the case of the audio, you can live without it. Obviously, we are talking about global feedback. The local feedback cannot be eliminated. It can definitely be minimised, but it is there and frankly, in our view, also does very well. In the end, does having no feedback has some advantage? In our opinion, the amplifier without feedback is less sensitive to the type of load to drive. Indeed, apart from the lower damping coefficient, it has much quieter behavior on reactive loads. Has no tendency to oscillate, does resonance peaks at high frequency (in fact in Puccini Anniversary there is no Zobel network) does not saturate the input stages and never has the two inputs of the differential free to be used in a balanced configuration without having to pass the signal through the operational." And the final question is, of course, does this brings a better sound? 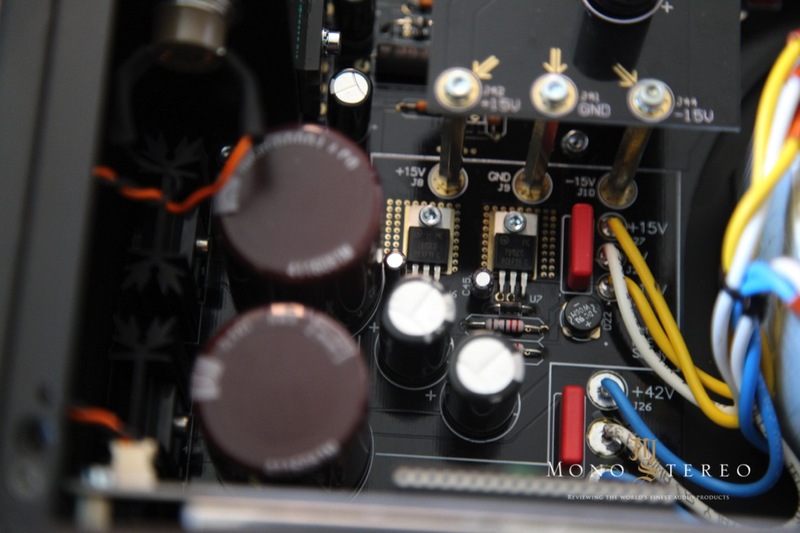 Audio Analogue is a strong advocate of such approach and this is why they've chosen a more difficult path of designing an amplifier in the absence of typical feedback. Puccini Anniversary chassis is made out of thick metal with the massive 14mm solid aluminum front panel, that host all the main controls. The recessed central knob has double functions for switching the integrated on and off, as well as for changing the inputs. Everything on the front panel was designed to offer ergonomic and straightforward-hands on a simple operation and the same goes for the included remote control, that offers all the main functions. When turned, the central knob activates an encoder that instantly communicates with four digital high precision Analog Devices potentiometers (two per channel). Puccini Anniversary has a unique feature, that allows choosing from four curves, that are calculated to work best with the given sensitivity of the speakers. Stylish white illuminated LEDs shows all the needed information and the brightness can be adjusted in two level of intensity or switched off. On the backside, there is plenty of the inputs. All of the RCA connectors are gold-plated, high-quality, Teflon insulated, soldered directly to the input's board and activated via signal relays. Audio Analogue Puccini Anniversary is fully functional dual-mono design. At the very heart of the amplifier, the power supply implements 700VA transformer and in combination with the six pairs of ON-Semiconductor transistors (three per channel) delivers 80W at 8Ohm impedance, which translates to around 300W at 2Ohms impedance. This ensures Puccini Anniversary enough power to drive potently even more demanding speakers. But, there is even more on the inside, that makes Audio Analogue integrated interesting. 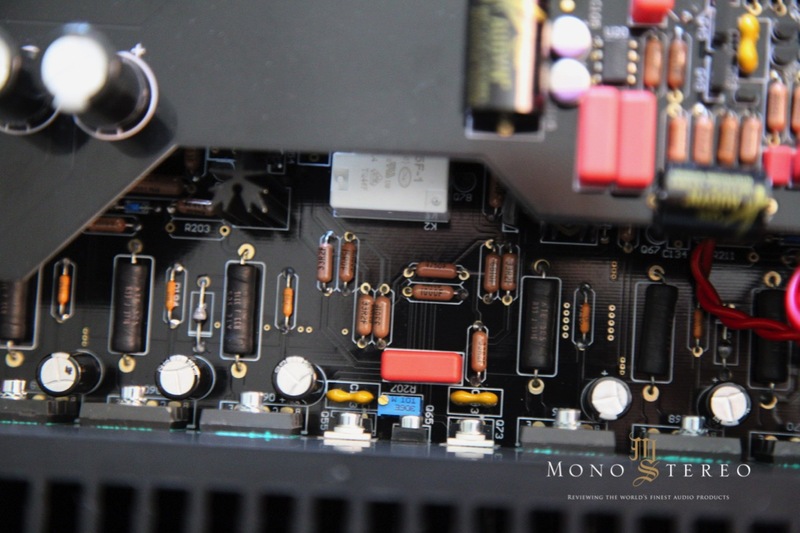 All power amplifier stages are set on the separate boards. All the Printed Circuit Boards uses golden copper footprints, that are double the thickness compared to the standard PCBs. This ensures much better electrical conductivity. All the internal wiring consists of pure solid 7N OCC copper conductors. 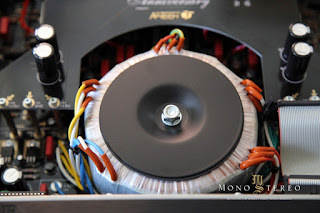 The carefully selected material like military grade resistors, audio-grade polypropylene capacitors, gold plated copper binding posts and a number of other solutions bring a refined performer, that was properly voiced and fine-tuned by the founder of Airtech - Claudio Bertini after numerous evaluations and prolonged listening sessions. Down By The River is along with Hearth Of Gold my favourite song written by Neil Young. The remastered version of this particular track breaths with a fresh energy. The three dimensionality is much more solid and energy of the guitars is much more airy and life like. This song is a bit of a challenge for any amplifier under the scope. It's not exactly easy to deliver the full portray of the dynamic impact and keep the balance of complete song composition. Even with rock music, too easily everything falls apart, when the power and gain are not distributed and balanced properly. Audio Analogue Puccini Anniversary integrated amplifier has managed to deliver complete Everybody Knows This Is Nowhere album and especially Down By The River, with the captivating insertion. Guitars were projected with enough grip, that allowed an easy formation of constitutional audio reproduction attributes. Like vocal and acoustical instruments, the electrical guitar also call for proper rendition of the timbre, tone and colour. This is the epicentre of the rock music's core. The Puccini Anniversary surprisingly unveiled both emotional and dynamic essence of this gem, without loosing control or going to either dark or utterly brittle realms. Some self proclaimed purists might instantly discard this as audiophile flavoured album. Yet... Its way beyond that. Shelby Lynee has managed to capture a spirit of the original songs in her own way, with a mighty crew on an expert musicians. The well know song's renditions are subtle, great sounding and mesmerising. This is also one of the better sounding albums of this particular "genre". Within first minute of the Just A Little Lovin' album's opening track, everything becomes revealed quickly. For example. The depth of the kick drum is no ordinary affair to reproduce at the satisfying scale and so is the the rendition of a complete mosaic blend of hi-hat, snare/rim and guitar. Amplifier can easily choke on this virtual simplistic arrangement, yet Puccini Anniversary kept its dynamic gestalt with dignity and pride expanding with immersive and musical reproduction of Shelby songs. Solo acoustical instrument and orchestra are both highly challenging, each on on their own. 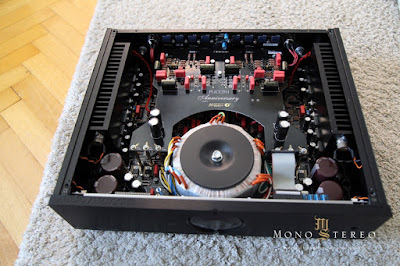 When they're combined or on sole forte an audiophile and musical quest becomes highly complex endeavour, that introduce few more of challenges. I've already explored the Deutsche Grammophon's Anne-Sophie Mutter, Wiener Philharmoniker, James Levine ‎– Carmen-Fantasie few times in my reviews. This contemporary record bestow a serious task for any amplifier regardless of price and type. To easily, the violin looses its real world presence with an orchestra and forms its projection with the unwanted translucency, where three dimensional materialisation and spectral shading fails to encapsulate enough real world objectivity and the believable factor. 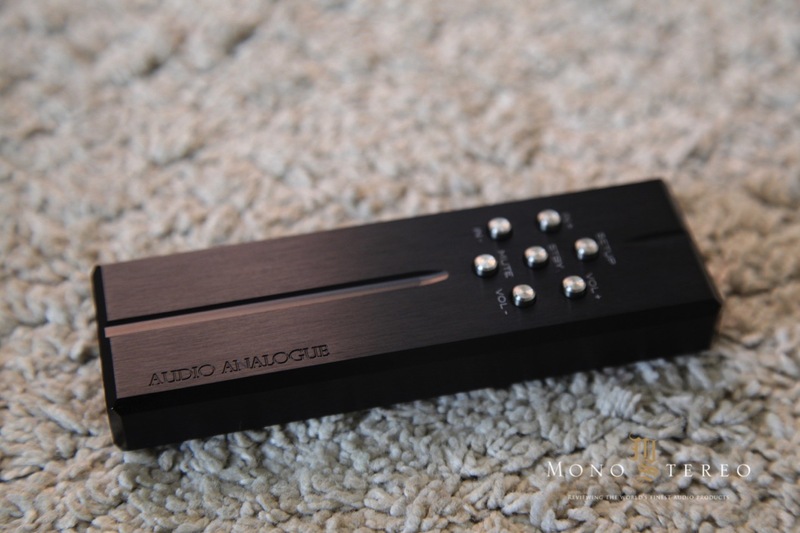 I've experienced a pleasant déjà vu with the Audio Analogue Puccini Anniversary integrated amplifier. I can still clearly remember the original version, that had even back in time accomplished something very different and noteworthy. 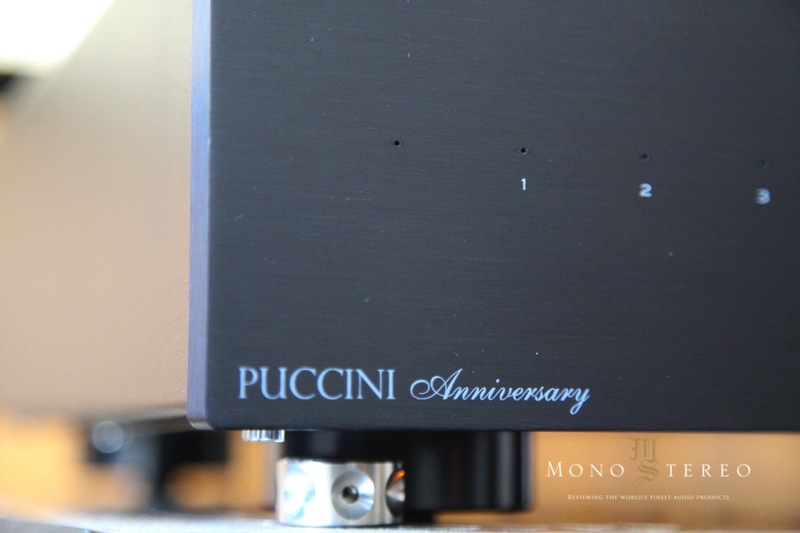 Most importantly, Puccini Anniversary is not just another integrated amplifier. I'm always enlivened and inspired, when manufacturer takes time to fine-tune and voice the high-end audio electronic to operate intimately within the music's DNA and language. Audio Analogue mighty, musical heart allows to quickly connect and reconnect with the familiar and beloved music material. More importantly without typical curtains of a sonic ballast. 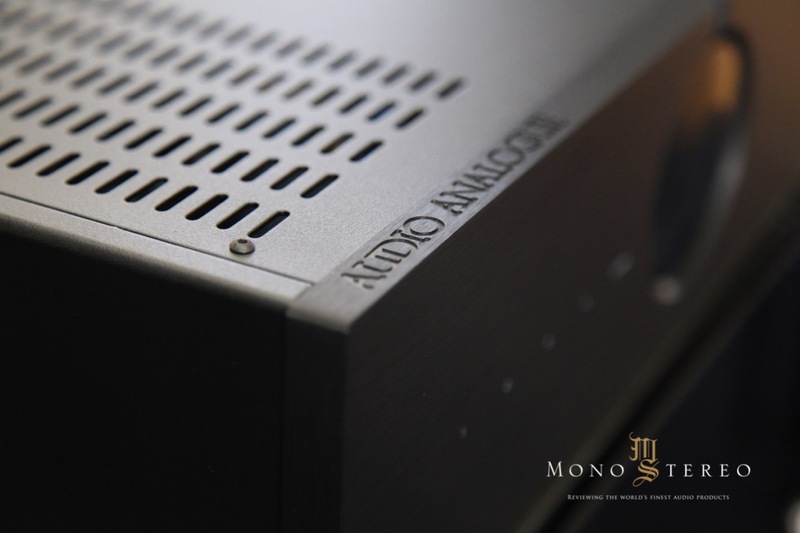 In the era where integrated amplifiers are again finding their meaningful space within the homes of audiophiles and music lovers Audio Analogue Puccini Anniversary integrated amplifier not only represent a great value, but delivers music with enough drive and emotional involvement, that allows an instant hook up with one's familiar musical catalogue. 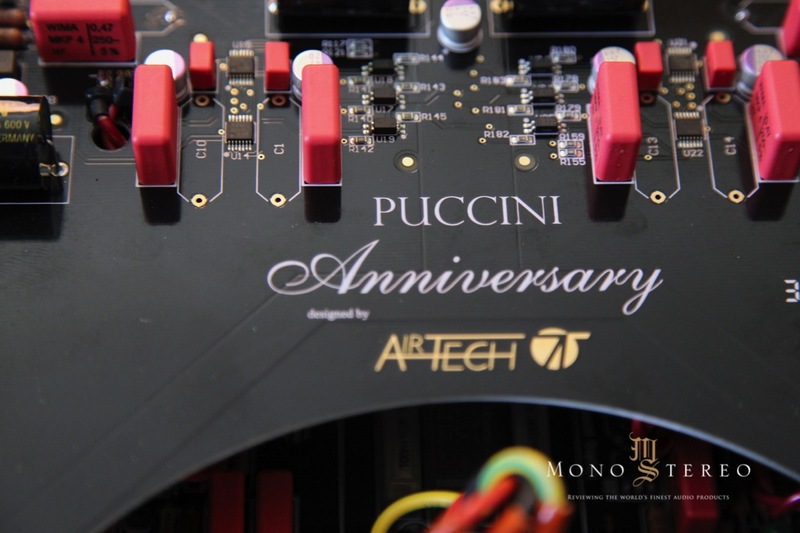 Puccini Anniversary operates with the contemporary Italian high-end audio hearth. What does this mean exactly!? This translates to the sound reproduction, where music's delivery and performance is of full vibrancy and in absence of the "old" school sonic traits. The warm nature of the music is blended with the speed, transparency and dynamic impact. As written earlier in the review Audio Analogue Puccini Anniversary continue on the potent heritage and expands its sound reproduction with the right elements of the modern high-end audio integrated amplifier demands.